The Maltese Islands boast a rich history spanning over thousands of years. The landscape, architecture and texture of the country make Malta an ideal backdrop for a number of different movie settings. The climate is a favourite amongst filmmakers, giving crews 12 hours of daylight shooting time in summer, and 10 shooting hours in winter. The Malta International Airport offers a direct link to mainland Europe making it very easy for crew to organise travel and equipment transit. For a number of years the Government of Malta has been offering Cash Rebates, Tax Credits and other incentives to filmmakers. The Bigger Picture has benefited from a number of these incentives over the years and can offer production support to foreign producers in order to be able to unlock the full benefit of the different funds. Producers filming on location can obtain a cash grant of up to 27% of their eligible expenditure in the country. Productions which satisfy a cultural test can benefit from a rebate up to 25% with an additional 2% if the production features Malta culturally. 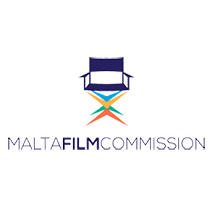 The main purpose of this fund is to encourage collaboration between Maltese and foreign companies to produce Feature film, Television film or Television Series or Mini-Series, Animation, Creative documentary, Transmedia and cross-media productions intended primarily for cinema release/broadcast and suitable for international distribution. Funding can be made available through a Loan Guarantee or through Equity Finance. Foreign Film Productions shooting in Malta can claim VAT refunds on a number of goods and services supplied in Malta. The National VAT charge in Malta is 18%. There are a number of cases which are exempt or which benefit from a reduced VAT rate of 7%.